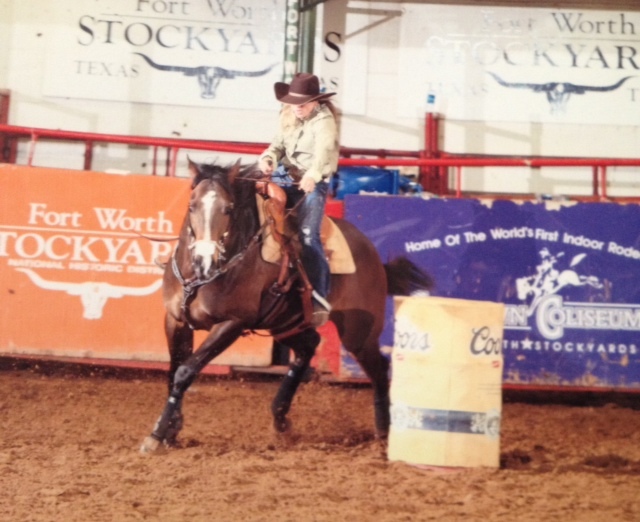 As a barrel racer trying to improve and shave precious tenths and hundredths of a second off of our times, we get training tips and words of encouragement from just about everyone. 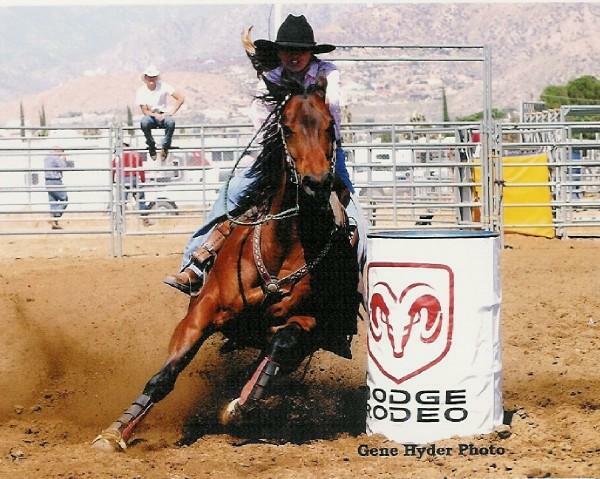 It could be your best friend, competitor, parent, or significant other who has never swung a leg over a barrel horse. Sometimes their advice works and sometimes it doesn’t, and since we are being honest here, most of the time even our own ideas only work about 50% of the time. So how do you decide what advice to take? The first step is realizing and accepting that the “change” whatever that may be, whether it’s a bit change or a riding style change, may not work! Prepare yourself not to be disappointed and allow yourself to be grateful. It’s all part of the process! It’s called growth and you have to be willing to make mistakes if you want to get better. However, I think there are few fallacies that do exist in the barrel racing world that you hear over and over again. In my 25 years of running barrels I used to live by some of these rules and it hasn’t been until the last 5 years of running that I have figured out that living by these rules has actually hurt me. I would say it’s been a hard pill to swallow, but I’m just grateful that I was able to see past my own close mindedness to open up my riding abilities to new horizons. I have by no means “arrived” at where I want to be with this sport. A matter of fact I don’t really even know what my ultimate goal is. It’s something I just leave up to God and know that he has a plan and I’m just going to keep doing what I do because it’s who I am and I love it. Having said that, I know that barrel racing doesn’t make me the person I am! So here we go! 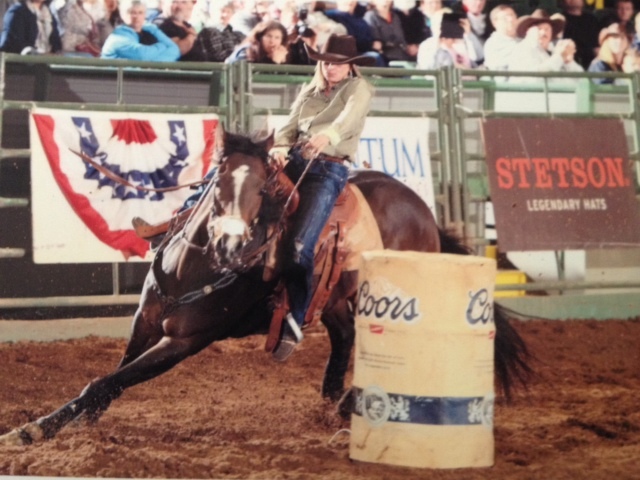 The Top 5 Fallacies of Barrel Racing! #1 Don’t Look at the Barrels! Uggh this one kills me. If you’ve ever rode something that is a hard turner, this is much easier said than done. For many years I have prided myself in my ability to get a horse past the barrels, but I don’t know if it’s age or growth in my skill, but I am just flat tired of gapping the air out of one to get them past the barrels. A lot of people will call when this happens, a horse “shutting you out.” At a recent clinic with Bo Hill, Jolene Montgomery and Deana Kirkpatrick they made an interesting point that you can’t fix this problem going slow. It’s something that has to be done at a run (by no means am I suggesting that you go run your horse over and over again until they get past the barrels, that’s not what they were suggesting either). What I think they meant was that you need to get your horse freed up. Most people will only think about the barrel pattern, but I think people need to step back and think about how they ride their horse on a daily basis. For example: I lope a lot of small circles (my foundation for barrel racing is from when I worked for a reining trainer in my early teens). I started to realize that maybe all of my horses are so turny because they are constantly throttled back and made to work in “perfect” shape. I analyzed other trainers who would more less gallop their horses on a loose rein and just let them get exercised. I tried it, it has worked so far. So maybe kicking past the barrels is not the solution, but more less getting your horse freed up in all areas of your riding. #3 He’ll be alright, he needs to get tougher! I have one of my most favorite horses of all-time outside. He won saddles, buckles, pro-rodeo money and collegiate qualifications and much more before his 6th birthday. Now at 15, when I turn him out to run, he bucks twice and then runs around the pasture on 3 legs. There are some days that he can’t even get up from rolling and I have to go out and put a halter on him to pull him up. He’s only 15. He was semi-retired at 6 when the vets told me that his hock has a bone chip and a lot of other “junk” in the joint that would make him only have a 30% chance of coming back as a performance horse after an arthroscopic surgery. In my early 20’s and in a partnership deal on this horse, I had to walk away from him because my partner didn’t want to do the surgery. I refused to ride him, the partner then sold him to someone else as a trail horse, who then turned around and sold him to someone who wasn’t told about the hock damage. After discovery of the damage they did the surgery and ran him. They have since sold him back to me and even I have made a hand full of runs on him in the last 2 years. With injections and pain meds and chiropractic he can make a good 2D/3D run. I think I heard the above fallacy a hundred times when I ran this horse. He gave me everything he had every run and when he didn’t work it was because he was in pain. I was told by some people very close to me, “He’ll be ok, just make him work” Now looking back, that seems like the most insensitive and heartless thing that anyone could do to a friend/horse. The fact is that he wasn’t ok. I should have fixed him, paid for the surgery and then gone from there. But as a college student $2,000 for a surgery was a lot of money. My horses today are probably babied, but after looking at my old horse, it reminds me that they only have so many runs and the decisions you make today will affect your relationship with that horse tomorrow. Choose wisely. A dear friend of mine said to me the other day, “I don’t care, I just want to win!” I have so been there and to be honest I was exactly the same age that she is now. Sometimes we don’t want to look at the details, we don’t want to focus on what we need to improve. We just want it to happen. Unfortunately, the person who “wants” to win doesn’t usually win. It’s the person who has been the most honest with themselves and has made the necessary changes that they need to make and sometimes it’s the timing and the money. We all work “hard” even when we don’t win. It’s not the person who works the hardest that wins, but the person who prepares for the opportunity and takes advantage of it. Next Cry if you need to… but still finish the race!